SCC’s in-house engineering and design team will help create the best design for your application using solution based engineering. 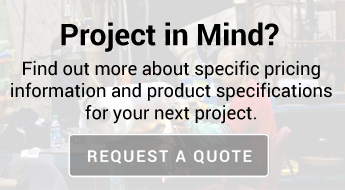 Whether that is adding a fitting or custom component to our existing general purpose line or designing a custom vessel from the ground up, we will work with you to understand your needs and build a solution. Creating custom-engineered, general purpose storage tanks is a familiar undertaking for our team of engineers and designers at SCC. We’ve delivered tailored solutions to many different industries, including chemical, pharmaceutical, beverage, oil and more. With our expertise, we can provide competitive lead times and an exceptional level of quality. Our process for manufacturing custom-designed carbon or stainless-steel storage tanks begins by meeting you. Our team discussing your needs with you, one-on-one, to learn about your facility and processes. We’ll also discuss any existing challenges you’d like to solve with our personalized solution. We then develop a design for you to evaluate. After any needed adjustments and your approval, we proceed with manufacturing your custom-designed stainless or carbon steel storage vessels at our 100,000-square-foot facility. Here, we’ll inspect and ensure your container meets our high standards for quality. Foamer Tanks: With our durable tanks, you can apply ready-to-use chemicals to your facility’s flooring and other areas. We’ll design your tank with the necessary attachments, materials and fixtures to meet your unique needs. All you must do is attach it to the appropriate hosing and applicator. Keg Line Cleaners: Keep your restaurant, bar or brewery’s keg lines clear with our commercial-grade cleaning cans. 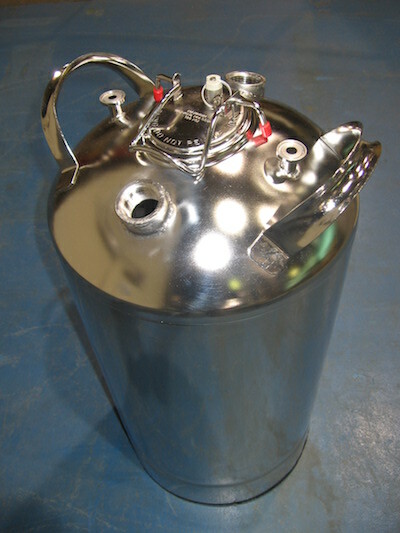 We manufacture these custom-designed, stainless-steel storage vessels in carbon steel, too. Our team can also design them with the system valves you need to keep your keg lines clear and your beer fresh. Attachments: We deliver economic solutions by re-designing components on your existing container. By replacing hardware, such as valves, lids or inlets, we can reduce your overall manufacturing costs and still optimize your current vessel to meet your facility’s needs. Miscellaneous: No matter what kind of custom-engineered, general purpose storage vessels you’re searching for, our experienced team can engineer a fleet of tanks that meet your needs. Whether you want carbon steel containers with select attachments, lids, tubing or inlets or a stainless-steel vessel, we can build a solution for you from the ground up . At SCC, we also manufacture standard general purpose containers for storing, dispensing or spraying liquids. These are constructed of stainless steel and are used in multiple industries, from food and beverage to chemical and pharmaceutical. If you’d like more information or have any questions about our custom-engineered & custom-designed vessels, please contact us, request a quote, or give us a call at 724-962-1100.